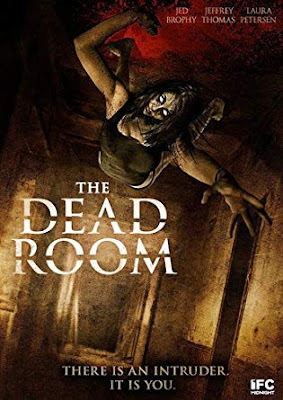 Ghost Hunting Theories: Review: "The Dead Room"
When a dear friend hears you haven't seen a movie and feels compelled to ship it to you to see, you take notice. I've always loved Australian and Scandinavian horror films, but this one hails from New Zealand. It was hard to imagine a land so lush and gorgeous could have a care in the world to want to do horror, but they found their niche in something that I most respect in horror - tension and editing. It was what they didn't show that scared the most. Kudos for the casting of the film - they were eclectic but had a vibe as if they had been a ghost investigation team a long time and knew each other's quirks. The tensions and pacing in this film were excellent. The set was phenomenal. The mystery was well kept. This was an ideal horror movie for me, a sort of updated "The Haunting" (1963) in most ways and at times "The Legend of Hell House." It was moody, unpredictable, and as a ghost hunter, a crazy dream/nightmare. My only qualm with the movie is the ending. It was a total cop out and that made me go flat inside and negated all the good that was within. This movie is definitely worth a see, but you may be like me and wonder if you want to see it again now that you know the ending. Coming soon - I share horror films with horrible endings.